If you are a Grand Valley State University student accused of a crime, it is imperative you have an attorney who regularly practices in the courts of Ottawa County and especially the 58th District Court in Hudsonville, Michigan. The attorneys of Springstead Bartish Borgula & Lynch, P.L.L.C. 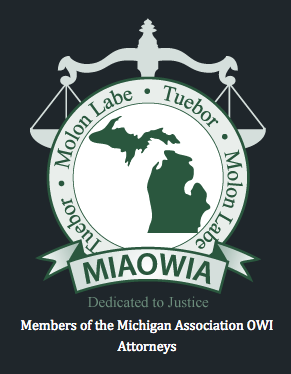 have practiced regularly in Ottawa District Court in Hudsonville, Michigan for over ten years. If you are a Grand Valley State University Student or a defendant accused of any alcohol or drug related offense, you will be likely be ordered to submit to drug test on the day of your arraignment as a condition of your bond. The Judge may ask you at your arraignment whether or not you will test positive if given a drug test that day. If you answer no, you may be given a drug test that morning. If you answer yes, that you will test positive, the Judge may ask you the date of your last use. The Court may order that you return to the court for a drug test thirty from the date you last stated you used marijuana. If you fail that drug test, you may be remanded to the Ottawa County Jail pending resolution of your case. Do not use marijuana or consume alcohol while on bond to the Hudsonville 58th District Court. If you are a GVSU student accused of a crime, do not try to handle it yourself. A conviction during your college years in at Grand Valley will follow you as you apply for jobs or graduate schools. For a mere $10 on the state of Michigan’s website (www.michigan.gov/ichat), future employers and graduate schools can run a criminal history/background check and discover all too easily any convictions on your record. All other things being equal, who are they going to chose, the applicant with a conviction or the one without? So, before you decide to “just” plead guilty and “get it over with,” possibly because somebody told you that you won’t get any jail time or you don’t want your parents to know, take a step back and think about your future. Don’t just plead guilty. Get an attorney. Find out if there is something that can be done. Often times, there is. The police are not always as careful as they should be when dealing with college students and there are a number of “breaks” written into the laws for first-time or youthful offenders, which could keep your M.I.P., possession of marijuana, or a variety of other crimes off your permanent record, e.g., MIP deferral, .7411 (drug deferral), Holmes Youthful Trainee Act (H.Y.T.A.). Call now for a free consultation and ask about our student discount with a valid student I.D. at Grand Valley State University in Allendale, Michigan. Minor in Possession of Alcohol (M.I.P) at Grand Valley State University in Allendale, Michigan. Not surprisingly, many college students [gasp] drink in college. Back in the day, this was just a fact of college life and students typically weren’t prosecuted for underage drinking. But now days underage drinking is taken very seriously and, if you are charged and convicted, you will have a misdemeanor conviction on your record. Underage drinking is taken particularly seriously at Grand Valley State University. Unlike other colleges and universities where M.I.P.’s on campus are handled internally by the university disciplinary offices, M.I.P.’s at Grand Valley State University are turned over to the Hudonsville 58th District Court for criminal proceedings. It is not uncommon for GVSU students who are quietly consuming alcohol in their dorm room to be visited by the Grand Valley State University Police and forced to consent to room searches and Preliminary Breath Tests. These encounters often result in criminal charges. Even though you cannot be sent to jail for your first M.I.P., you should not just plead guilty. The reason: the law also provides a break for first-time offenders that allows the Court to prevent a conviction from being entered on your record if you successfully complete the terms of probation. Despite rumors to the contrary, it is possible to obtain an M.I.P. deferred sentence in the Hudsonville 58th District Court. However, the court as a very specific procedure that must be followed in order for a defendant to even have the chance at obtaining such a sentence. The attorneys at Springstead Bartish & Borgula Law, PLLC are familiar with the Hudsonville 58th District Court M.I.P. deferral program and can give you the best chance of obtaining a deferred sentence. Even if you don’t qualify for a deferred M.I.P., an attorney may be able to help by challenging the evidence in your case, the method in which it was gathered, or negotiating a better resolution with the prosecutor, as the police do not always follow the laws with respect to search and seizure or while gathering evidence to prove the crime in a court of law. Students at Grand Valley State University have the right to be free from unreasonable searches and seizures, just like any other citizen. If you are charged with an M.I.P., protect yourself by calling Springstead Bartish & Borgula Law at (231) 924-8700 or (616) 458-5500 for a free consultation. If you are charged with possession of a controlled substance, i.e., marijuana, you should not just plead guilty without consulting with an attorney first. The same drug laws that make it a crime to possess marijuana also include a “break” for first-time offenders (M.C.L. 333.7411, commonly called a .7411) that provides you with an opportunity to keep a conviction off your permanent record, if you successfully complete a short-term of probation. Getting this break is not a given, however. It may require some advocacy from an attorney. Call (231) 924-8700 or (616) 458-5500 now for free consultation if you have been charged with possession of marijuana at Grand Valley State University in Allendale, Michigan. Medical Marijuana—Changes to Michigan laws and its constitution provide an exception to the drug laws for medical marijuana. While there are very specific requirements that must be met to use this as a defense, the law provides a very potent defense to criminal charges and situations you might find yourself in at Grand Valley State University. Driver’s License Sanctions—If you are convicted of a drug offense in Michigan, the Court must suspend your driving privileges for at least 30 days and up to as much as 6 months. If you plead guilty to a drug offense, pursuant to .7411, however, you will not lose your driving privileges if you successfully complete probation because a conviction will never be entered on your record. Call for more details on this important consequence of “just” pleading guilty to a drug charge. Even though you may live on or within walking distance of the campus at Grand Valley State University, the drunk-driving laws are vigorously enforced by the campus police and other local law enforcement agencies, e.g., Grand Valley State Department of Public Safety, the Ottawa County Sheriff’s Department, and even the Michigan State Police. Because the City of Allendale is not very big, it may seems like there is a concentration of law enforcement in a relatively small area looking for drunk drivers. If you are going out, do not drink and drive. If you are arrested, you should definitely consult with an attorney before pleading guilty. The attorneys at Springstead Bartish Borgula & Lynch, P.L.L.C. 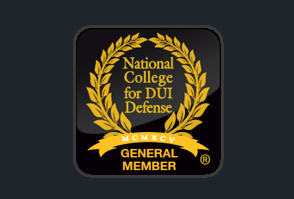 are focused almost exclusively on criminal defense and drunk-driving is the most common offense we handle. In addition to being easy to talk to and compassionate, attorneys Springstead and Bartish are members of the National College of Drunk Driving Defense and possess the type of specialized knowledge required to vigorously challenge a drunk driving prosecution. Call (231) 924-8700 or (616) 458-5500 for a free consultation and visit our drunk-driving page (https://www.springsteadbartish.com/drunk-driving/) for more information. The police on and around Grand Valley State University, i.e., the Grand Valley State Department of Public Safety and Ottawa County Sheriff’s Department are constantly on patrol and ever-vigilant. Whether it’s a house party or frat party or small get together, the police will not hesitate to arrest, ticket, or charge you with furnishing alcohol to a minor, disturbing the peace, disorderly conduct, or even a noise ordinance violation if they think you or the party has gotten out of hand. Even though these charges seem innocuous enough on the surface, many are still misdemeanors and will leave a mark on your criminal history. It is possible, however, to avoid having a conviction on your record. The law (the Holmes Youthful Trainee Act or H.Y.T.A.) provides a “break” for young people, under 24 years of age at the time of the offense, who successfully complete a short term of probation, that can removes such a conviction from your record. Getting the Court to give you this break is not a given, however. It may require some advocacy on your behalf. Even if you don’t qualify for a H.Y.T.A., an attorney may be able to help by challenging the evidence in your case, the method in which it was gathered, or negotiating a better resolution with the prosecutor, as the police do not always follow the laws with respect to search and seizure or while gathering evidence to prove the crime in a court of law. Protect your record. Call Springstead Bartish Borgula & Lynch, P.L.L.C. at (231) 924-8700 or (616) 458-5500 for a free consultation if you are accused of a crime at Grand Valley State University in Allendale, Michigan.